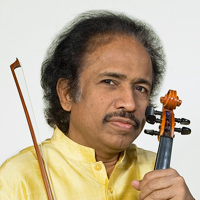 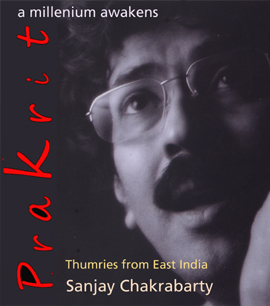 Acharya Sanjay has already performed mostly all the verities of Indian vocal music from Dhrupad to Playback, Comedy, Thumri to Modern Songs in thousands of concerts both in India and aboard. 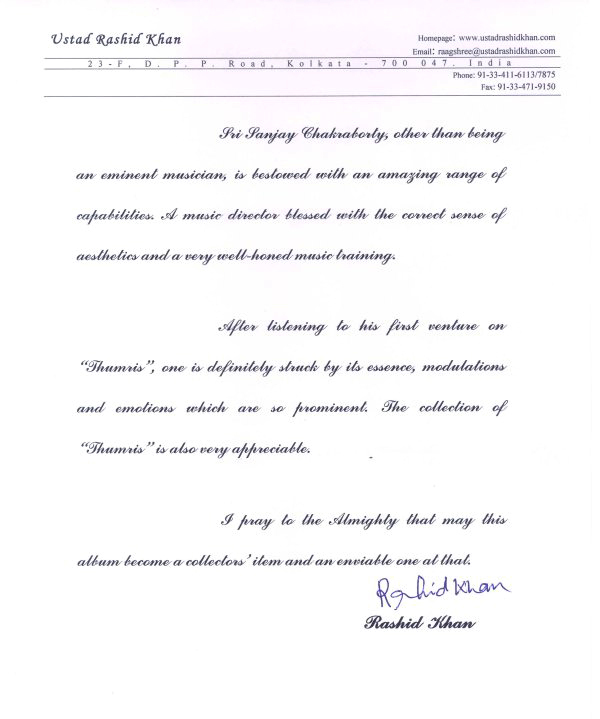 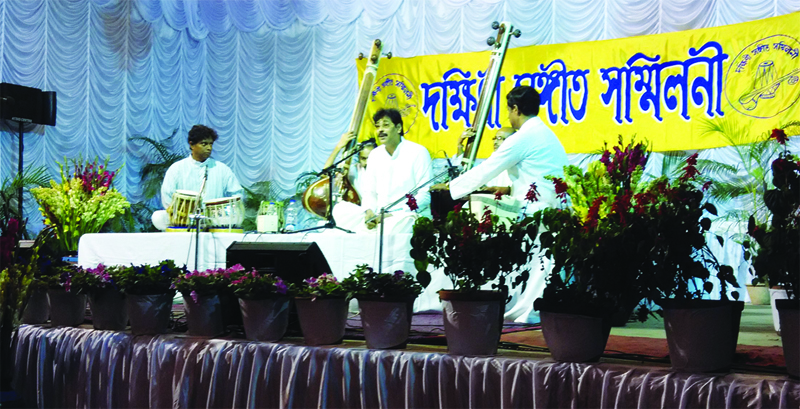 Besides of khayal and pure classical music Acharya Sanjay is mostly appreciated by his audience for his very special kind of presentation of Bhajans and Thumri with proper and highly interesting explanation. 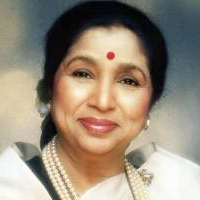 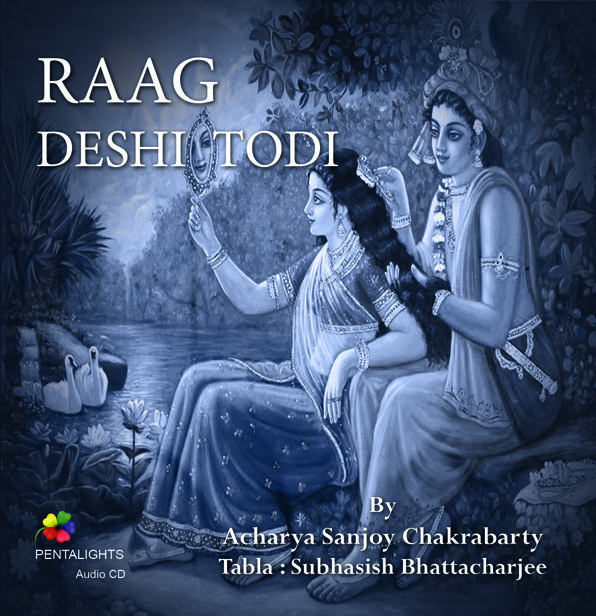 They say that the devotional songs like Bhajans or Kritans appear with their souls when Acharya Sanjay sings with meaningful oration of the philosophical background of original scriptures and establishes their relevance with modern lifestyles. 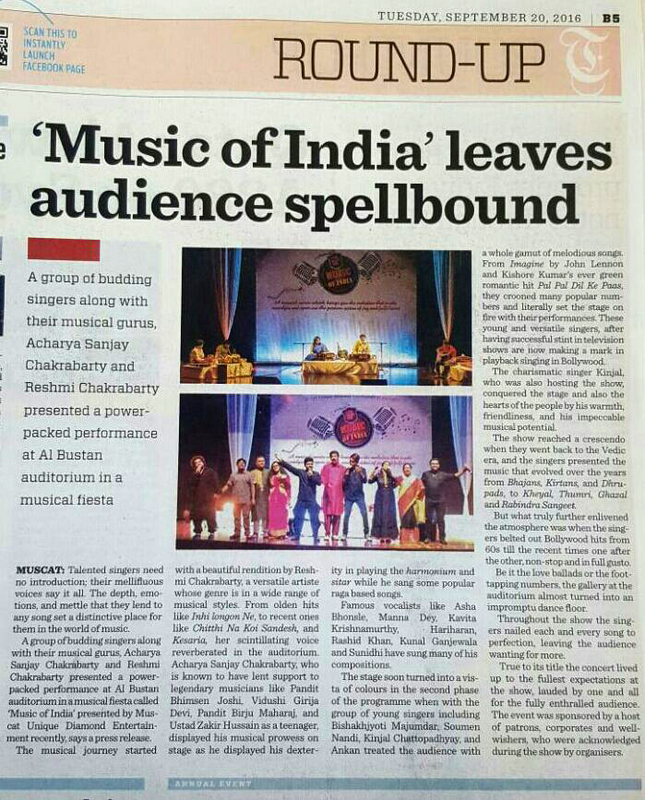 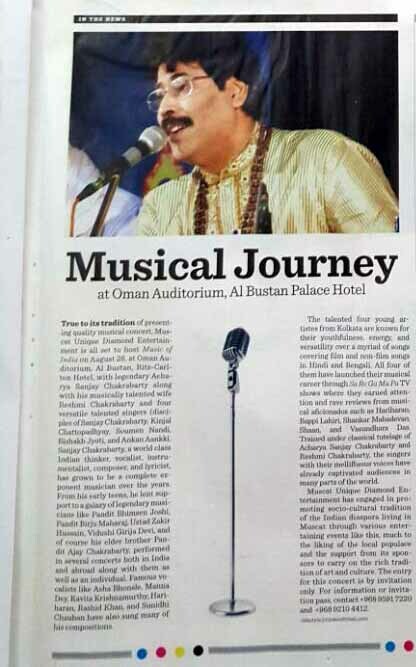 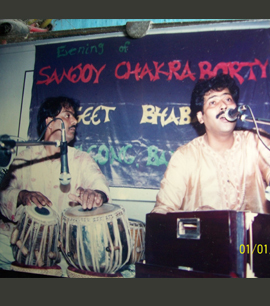 Acharya Sanjay’s first performance was in Mayapur ISKCON temple was for more than two spellbound hours in 2005. 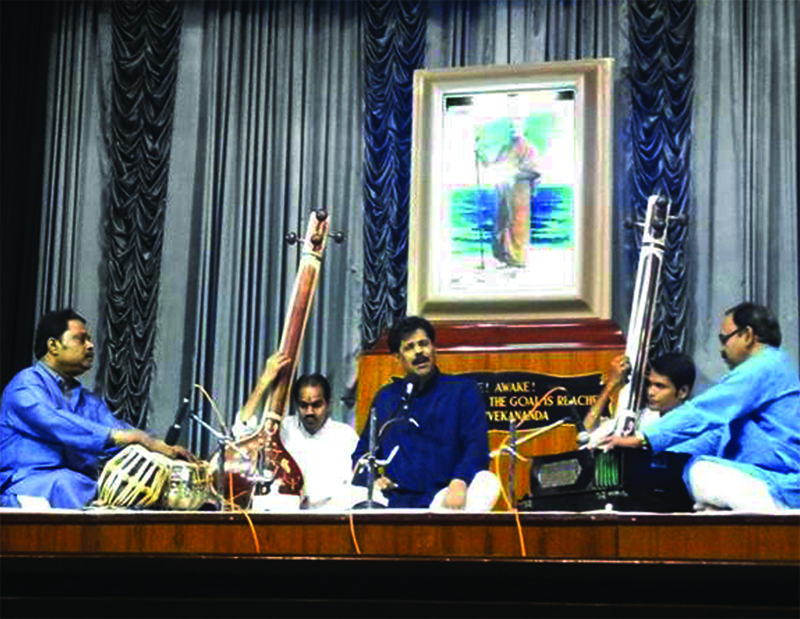 However Acharya Sanjay composed music for more than a dozen episodes of the Tele-Serial ABHAYCHARAN, directed by Bhakti Charu Swami. 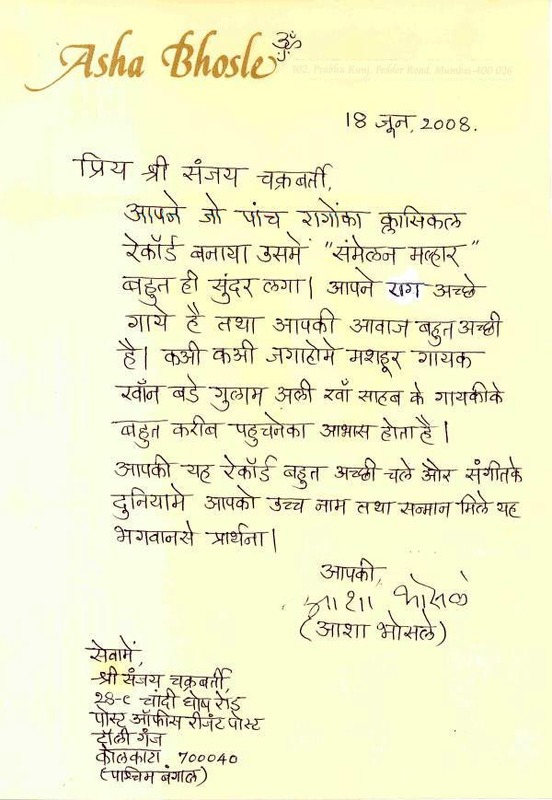 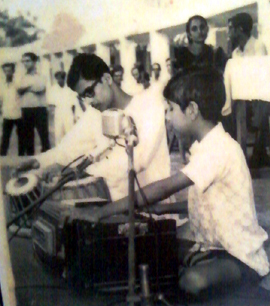 The then Acharya Sanjay was in his late teens. 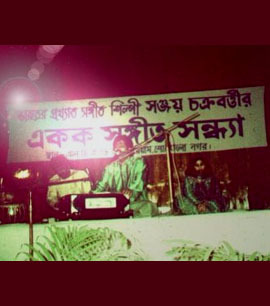 Acharya Sanjay Chakrabarty, is singing at his hometown \"Shyamnagar\" at the age of 11 only & Pandit Ajay Chakrabarty is accompanying on the Tablaa. 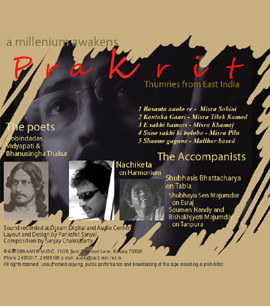 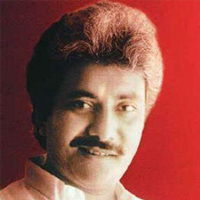 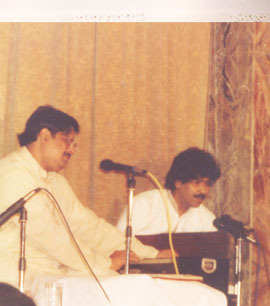 Acharya Sanjay Chakrabarty is singing in Singapore & Pandit Ajay Chakrabarty is accompanying on the Harmonium in 1994.